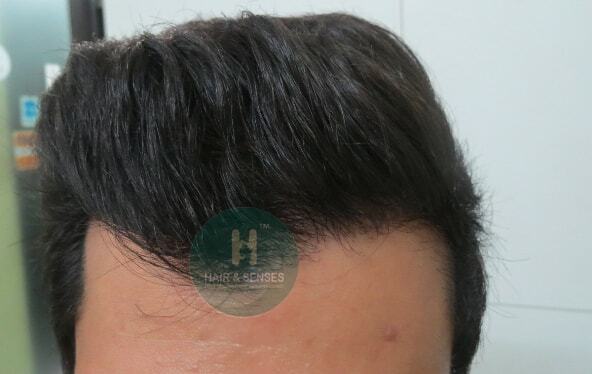 Read here the case study of a patient undergone FUE Hair Transplant with more than 4000 Grafts at Hair & Senses. Case History: A 25 Year aged patient came with hair loss on the both frontal and temple area. History revealed that he use to wear turban earlier. After consultation and routine blood test patient was planned for the hair transplant. We have suggested FUE technique for the hair transplant. The procedure was done under local anaesthesia. Scalp grafts were transplanted with FUE technique in 2 consecutive day sessions.